Killing of Mohammad Azeem: Barbarism Normalised? The incidents of lynching, killing and abusing the opponents particularly of the Muslims in India have become a norm and the country seems to be either satisfied with justifying things or calling these events as aberrations. 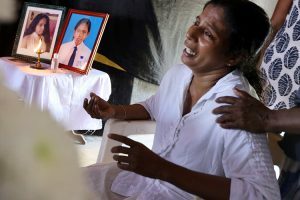 Every time such incidents happen and some of us shed our tears and go to the families. Some do fact findings, others go and share their agonies but things remain unchanged. The thugs doing politics in the name of religion are actually enjoying everything out of it as they feel, it suits their political interest. You make million efforts that our polity debate the issue of economic crisis that we have but end of the day, they would bring Hindus, Muslims, Pakistan, Gaay, Ganga, Ram Mandir, anti Hindu and so on. The agenda is being set from Nagpur and agent-provocateurs are there with their ‘victim card’ notions on the TV studios. India is fast plunging into dark ages and violence and hatred become a norm. Right now, it does not affect but I can bet that it will haunt those who have initiated the process. There are various reasons behind these things including the economic one which places the most vulnerable communities at war with each other, make them hate each other while those who are the real perpetrators enjoy it. 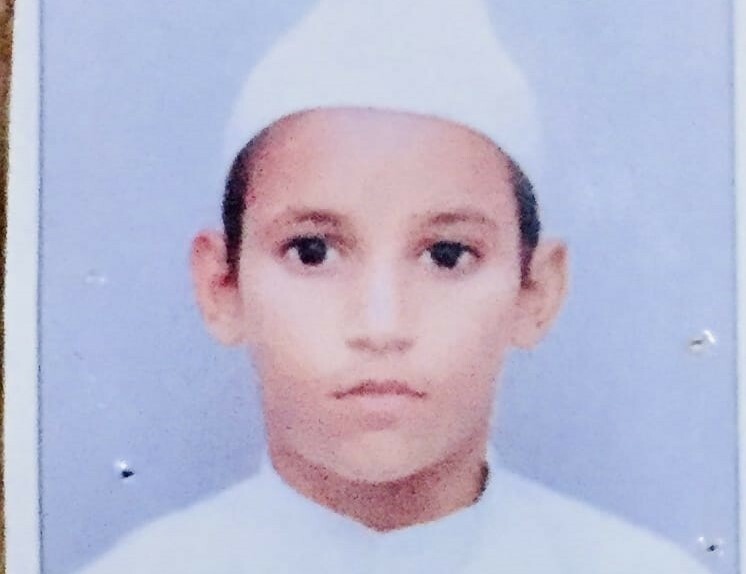 The killing of an eight year old boy Mohammad Azeem, who was a Madarasa student in Malviya Nagar is being debated and discussed a lot. Some claim it was lynching while others say it was a fight among children. Whatever be the case, it is a killing and we need to ponder over it whether it is a hate crime or not. The madarasa is located near the Valmiki camp. There have been complaints by the Maulvi that the anti social elements create problems, forcibly enter into the campus, drink alcohol and pass slanderous remarks. It is not that Mohammad Azeem was suddenly killed. We feel these are created conditions and definitely there are forces who instigate people in doing so. Clearly, the Valmikis here have become a tool to the poison being spread against Muslims. We can understand that today diversity is not a matter of celebration but a matter of concern. We are told that all the problems that India have is because Muslims and Christian live here but that is the Sangh public discourse. The internal brahmanical discourse of the Sangh Parivar is more about the assertive Ambedkarites who are building up parallel narratives and questioning the brahmanical hegemony which the religious minorities could not do as their own leadership had the biases towards the marginalised. It is not that the Valmikis turn anti Muslims the problem is that they too face discrimination. The hate mongers are actually converting their anger against the Muslims through various stories and narratives. This will continue for more as Muslims will be the target as there is opportunity for the Sangh Parivar in fulfilling its Manuwadi agenda. By targeting the Muslims, the Hindutva propagandists actually create a new breed of followers which have been denied justice and dignity in the brahmanical system yet convert their cry for justice into a war against Muslims. That the Valmiki Basti and the Muslim Madarasa is at loggerhead for such a long period and we failed to resolve it, reflect the growing nature of alienation of the communities and the big trust deficit among them. This has happened in the past too. It is our failure as a society to bring people together and build up counter narratives of working together. The enemies of humanity are building up propaganda through their whatsapp universities and we are still debating whether it was a lynching or murder or a fight. These things are not simple. The issue is much bigger. Will we allow such things to happen or now the time has come when we need to be proactively, bring communities together, work on their inclusion and fight the politics of hatred through our common cultural heritage. These matters are political but politics has failed. RSS has brahmanised the Indian polity so brahmanical narratives have become part of propaganda tool of political parties. For many, these are not the issue because the Hindus, or say the Savarnas will get angry so they keep quiet in the interest of their political survival. Parties like Congress have no different narratives and they continue to flirt with soft Hindutva. Rather than a secular heritage, we are now being sandwiched between the liberal versus traditional Brahmins. The time has come to venture out of such dangerous narratives and build up a truly secular inclusive narrative. I have always mentioned that all this is happening because the Sangh Parivar and the Hindutva forces are finding it deeply difficult to maintain control over the levers of power. With growing assertion of the Bahujan Samaj, it is now difficult for them to keep their hegemony intact and hence they are weaving new theories every day. There are hundreds of paid theoreticians who are working overtime to find ways and means to keep their hegemony intact. The brahmanical system that divide people on the basis of their birth has not worked towards radicalisation and democratisation of the society. Rather, it tamely defend and hail the culture which has not treated human being equal. With great work of Dr Baba Saheb Ambedkar, Jyoti Ba Phule, Periyar and others, India’s Bahujan masses have become politically powerful even when they dont have powerful political parties but we all know the fact that these Bahujan masses will dictate politics more powerfully in the coming days. And the more, it create problems for brahmanical hegemony, the bigger the violence and attack on minorities. We must be worried about the trends as why these forces of hatred are still succeeding because somewhere we have failed in our proactive approach. Our ideologies and writings are as per our political masters who have surrendered to caste hegemonists. Where are the vulnerable? Why are we not working and speaking against all forms of repression and violence. Why we speak according to our convenience and suitability according to the political formations. Politics is important but in India it has become dangerous as today’s polity is depoliticising people. Mind you, this is the game that you dont raise the issue. Dont take it to logical conclusion. Dont bring an alternative. We have seen mob lynching and violence against Dalits. It is hate crime. There is a need to build a campaign against hatred and look into the politics of social exclusion and its usage into the hate crime. We must now get worried how our children are being used for political propaganda. The children who should be enjoying their childhood including their occasional fights are becoming violent to the extent that they dont feel hurt in killing. Is it because excessive violence being watched on TV or killing being celebrated on whatsapp. I am afraid there is a possibility. Let this celebration of killing be stopped as it will kill us completely. Nothing will be left if we dont ponder over it. The dangers of children being used as a tool for spreading political propaganda, hatred and poison in the name of caste and religion. India definitely need a people’s movement against hatred. Dont expect too much from your political masters as they wont do anything. It is time for a massive movement of social inclusion and celebration of diversity. Let our children and their parents know that normalisation of hate and violence will ultimately kill them too. Hate is not constructive. It is destructive and will only bring disaster for all and not to a particular community. Let us stand up against hatred and reclaim India as per the dreams of our constitutional forefathers. Defeat hatemongers by creating better versions of inclusion and social cohesion. celebrate diversity.